Under the agreement, signed by Nakheel CEO Sanjay Manchanda and CAFU Founder and CEO Rashid Al Ghurair, CAFU trucks - an increasingly-familiar sight on roads across Dubai, Sharjah, and Ajman - have exclusive access to Marina Palm Jumeirah East and West, where more than 550 boats are moored. Available between 6 a.m. and midnight, the new onsite service offers boat owners a quick, convenient and time-saving way to refuel with diesel or petrol through a mobile app - without needing to be present. Previously, they had to fill up elsewhere, involving around an hour’s round trip to the nearest fuel dock. 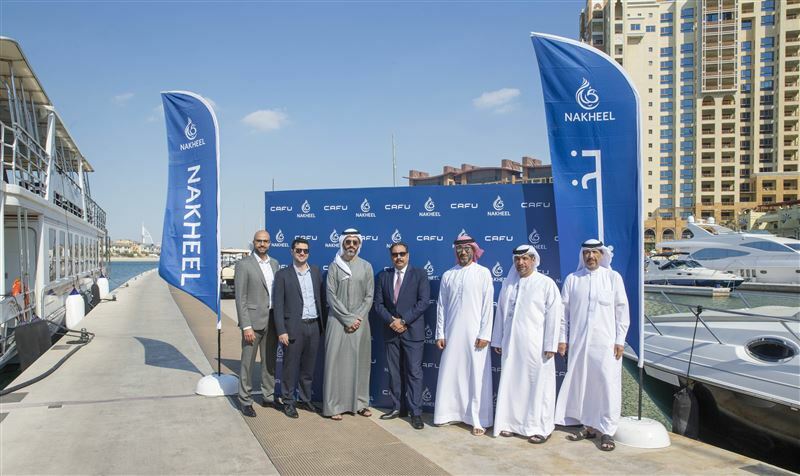 Commenting on the deal, Nakheel CEO said, "With the number of boat owners in the UAE expected to double to 20,000 between now and 2025, we continue to expand our Marine and Leisure business by investing nearly AED180 million in new marinas at Palm Jumeirah and Deira Islands, bringing our total number of berths to more than 1,200. At the same time, we are enhancing the facilities on offer to our growing number of marina customers, who will undoubtedly welcome this new deal with CAFU." Al Ghurair, in turn, stated, "Our objective is to make people's lives smarter and more efficient by leveraging technology and innovation. After the phenomenal success of our car refuelling service, we are going a step further by delivering fuel to boats, freeing up owners’ valuable time - and helping the environment."